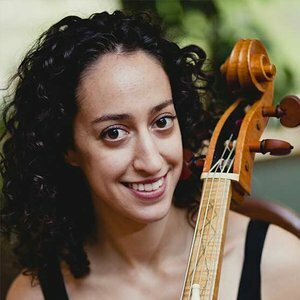 Anna Steinhoff, cellist, has been described by critics as “soulful,” and “the rhythmic heart of the ensemble.” Based out of Chicago, Anna is an active performer with ensembles across the midwest. In addition to the modern cello, Anna specializes in early instruments such as the baroque cello and viola da gamba. She is the principal cellist of Chicago’s period instrument orchestra, Baroque Band, and has performed with ensembles such as the Haymarket Opera Company, Newberry Consort, Second City Musick, Callipygian Players, Music of the Baroque, Chicago Opera Theater, and Madison Bach Musicians. She is also a founding member of Wayward Sisters, who won first prize in the 2011 Early Music America competition. Wayward Sisters released their debut album of music by Matthew Locke on the Naxos label in 2014. Anna completed degrees in cello performance from the Oberlin Conservatory and Northwestern University where her principal teachers were Peter Rejto and Hans Jensen. She recently returned from the Netherlands, where she studied baroque cello with Jaap ter Linden.